You have questions? No worries! At first, we did too. Why is the room hot? There are a number of physiological and mental benefits associated with the heat. Doing yoga in the heat increases your heart rate, which creates a cardiovascular workout. It also allows you to stretch safely through a greater range of motion than if you were practicing yoga in a cold room. (If you can't touch your toes you might get closer than you thought possible in a Core 26 class.) Heat enhances vasodilation, which brings more blood flow and oxygen to your muscles while aiding in the removal of waste products such as carbon dioxide and lactic acid. Heat also enhances the breakdown of glucose and fatty acids. Beyond these physiological benefits, the heat creates a mental challenge, and with practice, you learn to make yourself comfortable in uncomfortable situations. That is something you can take with you anywhere you go. Can I do yoga if I’m not flexible? Absolutely! In fact, yoga is one of the best things you can do to improve your flexibility. Your body is malleable - your connective tissue pulls on muscles and bones, all of which have the capacity to change based on your physical activities. Furthermore, yoga is not simply a practice for the flexible. 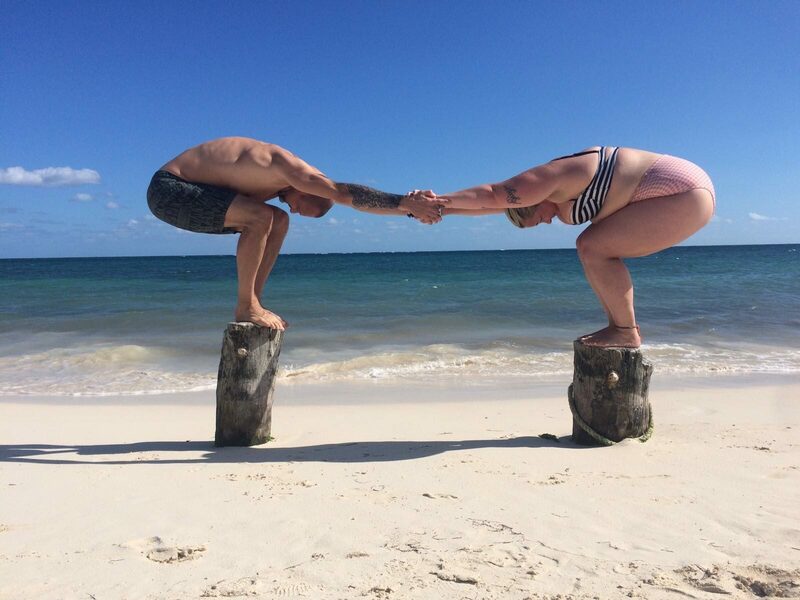 From a physical standpoint, yoga requires just as much if not more strength as it does flexibility. So whatever body you come in with, you will be adept at certain postures based on your body's natural abilities and other postures will require more practice. And you will build both strength and flexibility each time you practice. You can practice as often as you like or as often as it fits into your schedule. Some of our practitioners choose to begin their practice with a 60-day challenge, where they commit to practicing every day for 60 consecutive days. Others enjoy using yoga as cross-training for other physical activities. Know that the more often you practice, the more benefits you will start to notice physically, mentally, and emotionally. For this reason, we recommend practicing 3 or more times per week. Yes. Yoga can be a very effective way to promote healing in the body, including decreasing recovery time for certain injuries or chronic conditions. Yoga can also help you regain mobility that might have been lost due to previous injury. Generally speaking, we would recommend that you allow your body to rest during the acute stage of an injury, consult with your doctor, and practice yoga following the acute phase to aid in your recovery. If you let your teachers know about injuries and chronic conditions, such as lower back pain, we can assist you with modifications for particular postures or movements in class. First time doing yoga or hot yoga? Great! Come in well hydrated. We recommend drinking 3-4 liters of water on days that you practice. If you’re planning to take an evening class, try to drink at least 2 liters of water during the day. If you’re planning to take a morning class, drink 3-4 liters of water the day before class and half a liter or more in the morning. If you come in dehydrated it’s not the end of the world, but class will feel better and your muscles will move better if you are hydrated. Eat 2-3 hours prior to class so you have some energy and so can practice on a mostly empty stomach. It’s no fun to move your body around with a belly full of food. Trust us, we’ve all tried it! Bring a mat, big towel (for heated classes), and water bottle with you. We have filtered water at the studio so you can fill up your bottle. We also sell bottled water if you forget yours. If you don’t have a yoga mat and towel, you can rent these at the studio for $2 each. If you’d like to shower after class in our changing rooms, bring an extra towel with you. Come in 15 minutes early so you can fill out our brief paperwork. Doors close promptly at the start of class. Wear light workout clothing that allows for movement and makes you feel comfortable, such as sports bras, tank tops, breathable shorts, capris, leggings &/or athletic shorts. Be prepared to work hard, sweat, and feel amazing after class!